If you’re into Meatless Mondays, this one’s worth a try! Naturally, the inspo for this came from (another) kitchen accident of sorts. The fam was craving tacos and I was straight outta luck at the seafood counter. No wild caught cod in the case. The rest of my brood was all set with their seasoned beef and Fajita Flats, but what about my Fish Tacos with Cilantro Lime Cream? Sniff. Until I spotted some gorgeous looking wild caught sea scallops. While I’ve certainly eaten my fair share over the years (oh Bistro V how I miss thee! ), I’d never once thought of preparing them myself. First time for everything. And why on earth did I wait so long? Six scallops cost me a whopping four dollars and change, and they were ready in under 10 minutes. A simple sauté in the smallest pat of butter and splash of EVOO. I happened to have just enough spinach mushroom ‘risotto’ from the night prior to pair along with it, a combination I’ll prep on purpose next time. Major props to Ruled.Me for their Low Carb Cauliflower Mushroom Risotto. My love for cauliflower knows no end, y’all! The end result turned out to be an entree as elegant as it is easy to prepare. Best of all? It clocks in at a lean 429 calorie dinner, leaving me enough room for a square of my favorite dark chocolate. Yaaas! Heat EVOO and butter in small saucepan. Cook scallops about 3 minutes on each side or until browned. Squeeze lemon juice on scallops and allow liquid to cook down. Keep warm. Meanwhile, sauté garlic and mushrooms in EVOO. Add chicken broth and cauliflower. Stir, cover, and reduce heat to low. Simmer for 5 minutes. Remove cover, add spinach, continue simmering until liquid is almost fully reduced. Lastly add the whipping cream and parm. 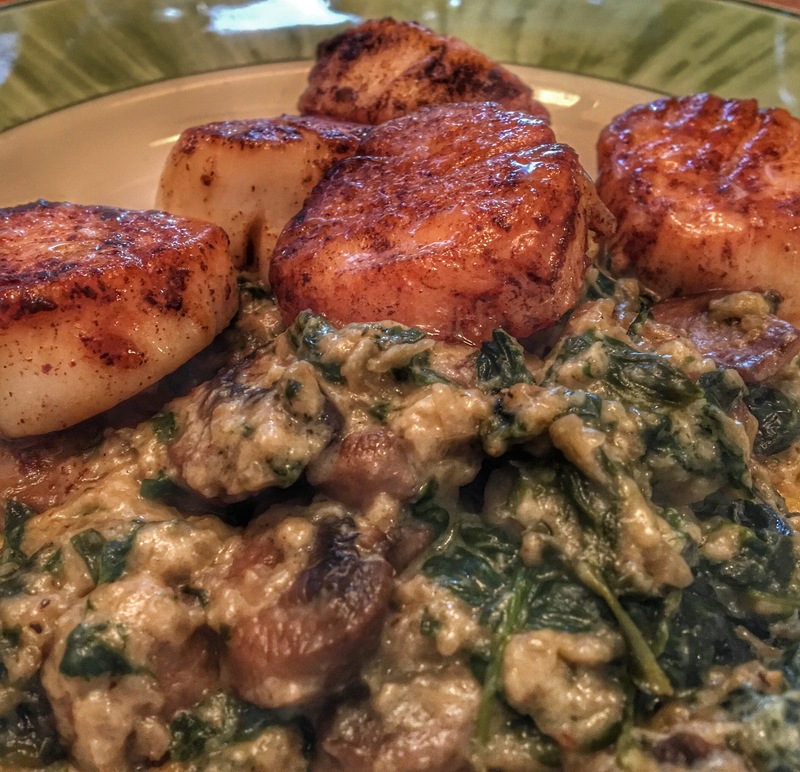 MFP entry: 4 scallops, 1/2 cup risotto. 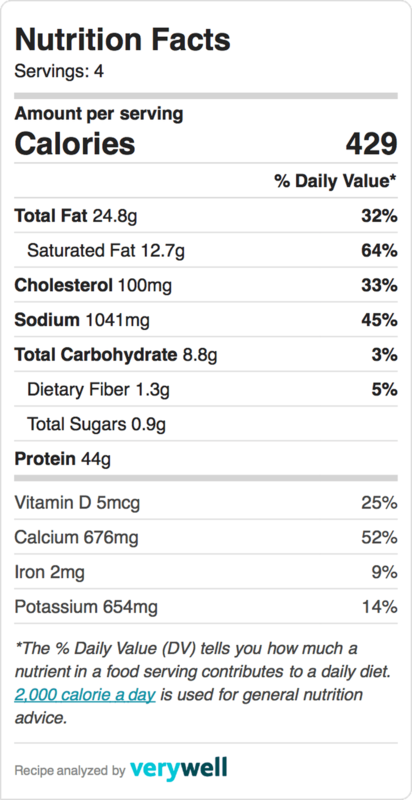 429 cals.